International Drumset Artist, Author, Composer, Percussionist, Educator and Clinician. Multi Nominated ARIA Award, MO Award and Oz Music Award performer Chris Brien has performed and recorded with many of the biggest names in Australian music, performed with internationally acclaimed artists, performed in theatre productions, performed in clinic alongside many of the biggest names in drumming, trained some of Australia’s best drummers and is recognized in many parts of the world as a master of "4-Way and 5-Way Independence". 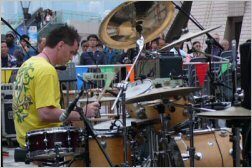 As a performing artist Chris Brien rose to prominence in Australia in the mid 1990s as resident drummer/percussionist with the highly successful band Swoop, a Sydney based band with several number one and top ten hits both in Australia and Japan. Chris Brien is a self taught musician who began to play the drums in 1980. Being the youngest of five musical children enabled Chris Brien to be exposed to a variety of music styles, this combined with practising six to eight hours everyday has made Chris Brien the musician he is today. His father and grandfather were both part time drummers in their youth. Chris Brien utilizes 10 pedals as well as a range of percussion and sound effect elements to demonstrate a variety of playing styles. Chris Brien’s creative approach has inspired countless drummers. By 2002 Chris Brien's extensive studio and "live" experience as well as his innovative approach to playing the drumset had established him as one of Australia's foremost clinicians and drum/percussion educators. During this period Chris Brien was also writing a monthly drum column for the Sydney music magazine, "The Rock-itt"
In May 2002 Chris Brien released his first instructional DVD entitled "Independence" featuring five original drumset compositions and songs all at the cutting edge of 4-way independence. All of the tracks were first takes and no drum or percussion overdubs were used in the recording process. 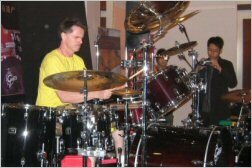 In June 2002 Chris Brien was invited to play at "The Ultimate Drummers' Weekend" festival in Melbourne, Australia. Due to public demand Chris Brien was invited back to perform again at "The Ultimate Drummers' Weekend" Festival in Melbourne, Australia, in June 2003. Chris Brien’s performance was featured on the 11th Australian Ultimate Drummers Weekend DVD, along side Thomas Lang, Jimmy Degrasso and John Blackwell. In May 2004 Chris Brien was invited to open "The Australian Drummers' Festival" at Telstra Stadium in Sydney, Australia. In February 2005 Chris Brien released his second instructional DVD "Independence Part II" (A Giant Step) featuring some of the most extreme 4-way independence drumming ever recorded. "Independence Part II" received a 4 star rating from "Modern Drummer Magazine USA" (February 2006). All of the tracks were first takes and no drum or percussion overdubs were used in the recording process. 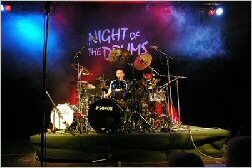 In April 2005 Chris Brien was invited to perform at the prestigious "Night Of The Drums" in Meunster, Germany. An international Samba festival which features some of Europe’s best Samba groups. 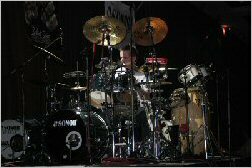 In May of 2005, Chris Brien was the 'highest billed' Australian drummer to perform at "The Australian Drummers Festival" at the Sydney Superdome (now Acer Arena). In October of 2005, Chris Brien officially became an author by successfully publishing his first drumming instructional book "Progressive Rhythms". In February 2006, Chris Brien successfully opened up his second percussion teaching studio, located at Continuumusic rehearsal and recording studios in Dee Why, Sydney, Australia. Chris Brien's teaching systems have helped develop thousands of drummers nationally and internationally, including many of Australia's best drummers. In November 2006, Sydney based world music band "Heval" featuring Chris Brien on drums won the award of being the best "World Music Band" of 2006 in Australia at "The Oz Music Awards". 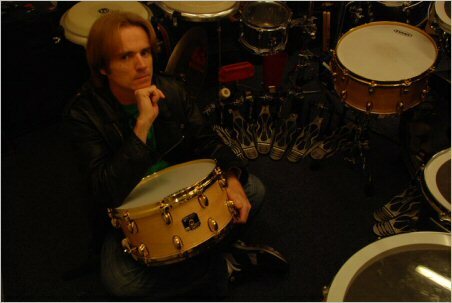 In early 2007, Chris Brien was invited to relocate from Sydney, Australia to Hong Kong to set up his drumming courses "The Chris Brien Drumming Course" and "The Chris Brien Percussion Course" in conjunction with the largest music retailer in China / South East Asia, "Tom Lee Music" and "The Tom Lee Music Academy". In November 2007 Chris Brien was invited to perform at the Conservatorium of Shanghai, China. 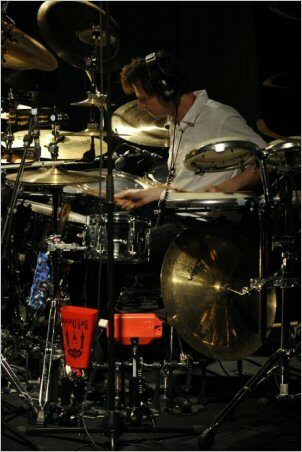 In December 2007, Chris Brien launched his 2nd solo CD "World Rhythms" at The White Swan Hotel in GuangZhou China. "World Rhythms" is aimed at both the Western and Chinese markets and is packaged in a twenty page hard cover booklet written in English and Chinese explaining the stories behind Chris Brien’s drumset compositions which are featured in "World Rhythms". All of the tracks in “World Rhythms” are first takes and no drum or percussion overdubs were used in the recording process. 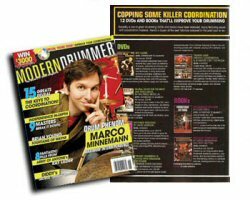 "World Rhythms" received a 4 Star rating by Modern Drummer Magazine USA (November 2008). After being approached by many of the world’s leading publishing companies, in December 2008 Chris Brien signed a worldwide licensing agreement with Mel Bay Publications Inc. USA. Chris Brien has released 5 instructional DVD’s, 2 solo CD’s and several instructional books. DVD “Independence Part II” By Chris Brien - 4 Star rating. CD “World Rhythms” By Chris Brien - 4 Star rating. 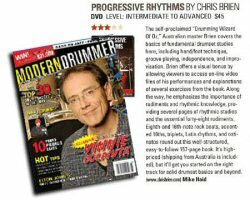 “Progressive Rhythms” (book) by Chris Brien was rated by Modern Drummer Magazine USA in June 2007 as one of the top twelve drumming tutorial products released worldwide since 2005. 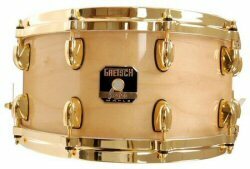 In January 2010 The Gretsch Drum Company released “The Chris Brien Signature Series Snare Drum” in Hong Kong/China. Amongst Chris Brien’s busy teaching and writing schedule, Chris Brien regularly gives solo performances and drumming seminars in Hong Kong and China and in other parts of the world.